Tickets can be purchased online or by phone at 401-438-8383. Our box office is also available for walk-up purchases during the above hours. 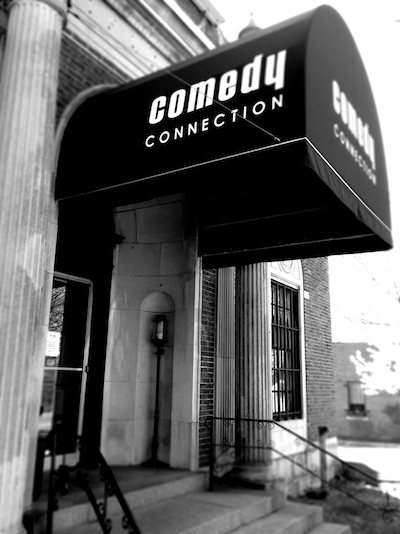 The Comedy Connection provides FREE parking in 2 of our lots on either side of the building. There is also street parking on Warren Ave and the surrounding area. All shows are 18+. Seating is General Admission for ALL shows and is on a first-come first-served basis. If you are coming with a party, only one person is required to show up and save the remainder of the table for the other guests. Door times vary, check your ticket! For the comfort and safety of our patrons, we offer accessible entry and seating for individuals with disabilities.